Shower-ready slides with a soft, contoured footbed. 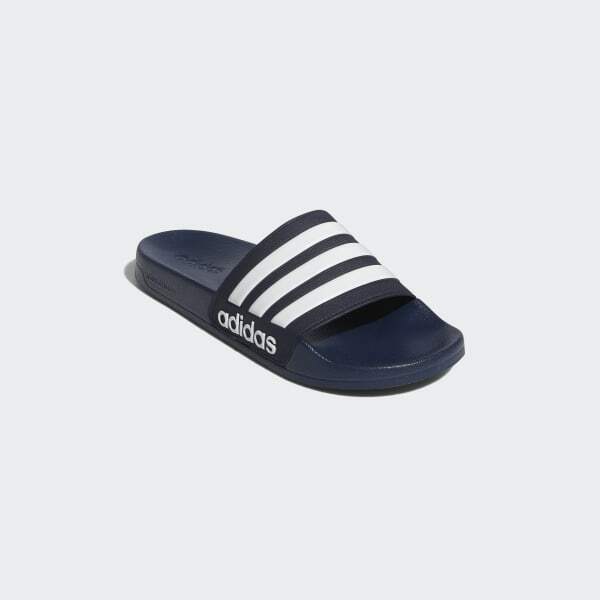 Ideal for the pool deck or shower, these men's slides feature a quick-drying Cloudfoam footbed that cradles your feet with soft cushioning. The bandage-style upper shows off contrast 3-Stripes for a classic athletic look. The EVA outsole provides lightweight comfort.